This chapel does not appear to have a memorial, so this record is unique. 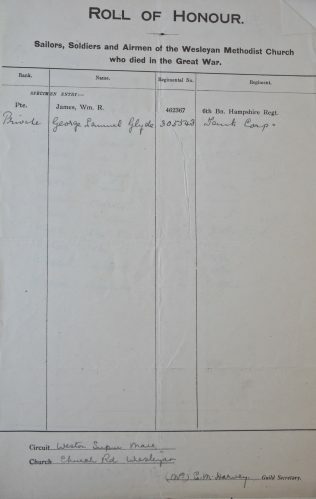 Private George Samuel Glyde was the son of George and Sarah Jane Glyde of Ilfracombe, and was born in Exeter in 1898. 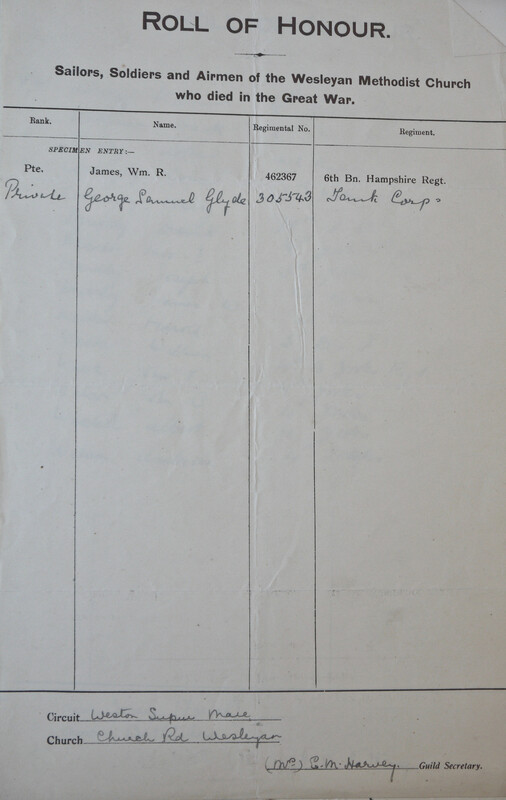 His widowed mother had moved to Wellington House, Weston-super-Mare by the time of his death.